Suzuki Philippines graces Puregold’s 14th Sari-Sari Store Convention with several of its best-sellers. The annual event was attended by more than 40,000 businessmen and sari-sari store owners. Reflecting its support for local businesses and entrepreneurs, pioneer compact car manufacturer Suzuki Philippines joined the country’s largest gathering of neighborhood retail store operators, the 14th Tindahan ni Aling Puring (TNAP) Sari-Sari Store Convention, last May 24 to 28 at the World Trade Center in Pasay City. Attended by more than 40,000 businessmen and budding entrepreneurs, this year’s event went by the theme “#PanalongPagbabago: Pinaka-BidaKaRito!” in celebration of hardworking sari-sari store business owners. Suzuki Philippines reinforced its commitment to being a part of this change, one that will allow business owners to work more efficiently, achieve faster results and better manage their finances through recent offerings and bigger savings and discounts. 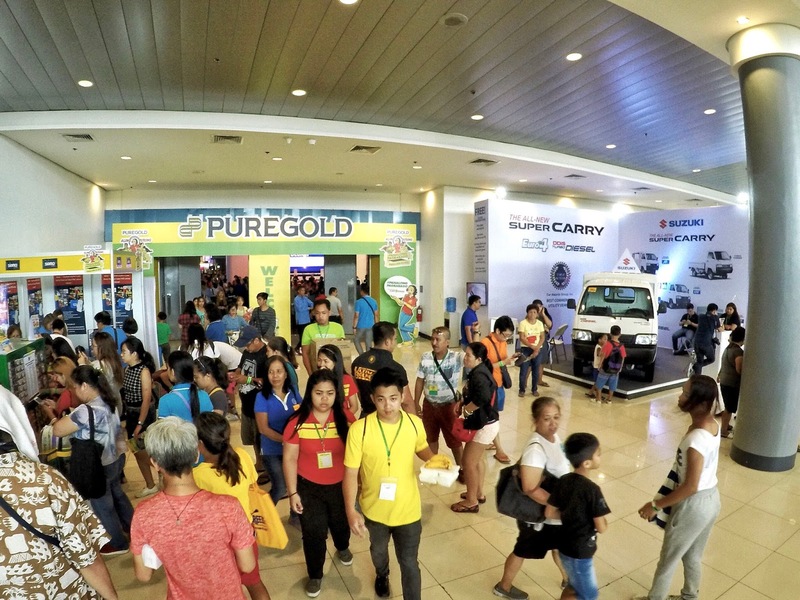 In addition to limitless deals and prizes, the leading Japanese car distributor also brought several of its top-grossing vehicles to the 5-day annual Puregold convention. “Our participation in this year’s Tindahan ni Aling Puring (TNAP) Convention is in line with our commitment to enhance the Filipino Way of Life. We are most delighted to be able to present to thousands of sari-sari store owners and entrepreneurs who attended the many ways Suzuki can help them grow their businesses,” shares Suzuki Assistant General Manager for Automobile Mr. Cecil Capacete. Among the vehicles displayed during the event were Suzuki’s all-time favorites Ertiga and Celerio, which have undeniably earned their respective market’s favor over the years. Both were displayed at the World Trade Center’s parking area. 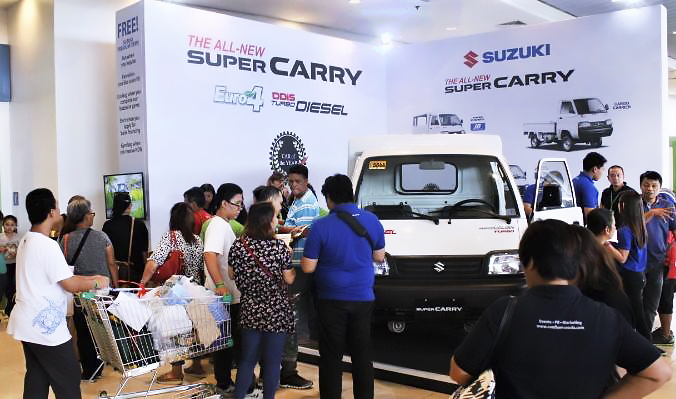 Event-goers were able to explore the many features of the Euro 4-certified DDiS Turbo diesel-engine Super Carry during the 5-day convention. The Super Carry is designed to address the logistics demands of local businesses, in particular MSMEs. Meanwhile inside at the Suzuki booth, event-goers were introduced to the different features and functions of the recently launched Super Carry. As Suzuki’s first entry into the booming utility commercial vehicle segment, this Euro 4-certified DDiS Turbo Diesel-engine workhorse was built to cater to every business need, particularly for micro-small and medium-sized enterprises (MSMEs), in a manner that is most helpful to the environment. “On behalf of Suzuki Philippines, I would like to thank everyone who attended this year’s 14th Tindahan ni Aling Puring (TNAP) Sari-Sari Store Convention, especially those who visited our booth and showed their support. It is our greatest pleasure to be able to contribute to the success of this yearly tradition and reach out to more local entrepreneurs,” said Mr. Shuzo Hoshikura, Suzuki Philippines General Manager for Automobile. Suzuki Philippines aims to support the business expansion of local entrepreneurs, in particular MSMEs, by meeting logistics demands through the use of the functional, pro-environment and ergonomically designed Super Carry. Recognized as the 2016 Best Commercial Utility Vehicle by the Car Awards Group, Inc., this LCV is equipped to deliver enhanced operational productivity, uncompromised performance and best-in-class fuel efficiency. Combining superior loading capacity and durability, the Super Carry is sure to give an effortless driving experience despite heavy cargo. The Tindahan ni Aling Puring (TNAP) Sari-Sari Store Convention is a highly anticipated annual event that aims to empower local businesses and entrepreneurs, particularly those in the micro-retail industry, and assist in their growth. The event is known to offer big savings and promotions from the largest and most popular product brands and suppliers. It also organizes workshops and seminars for local businesses and guests.